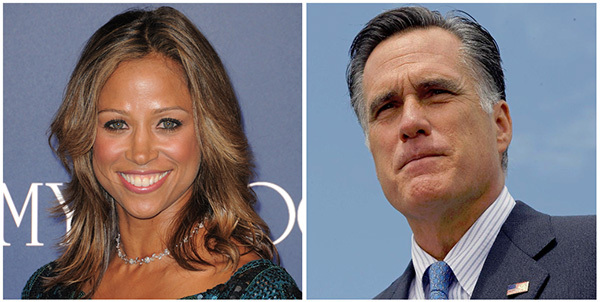 Stacey Dash, 46-year-old actress publicly defends her choice for endorsing Republican Mitt Romney in the 2012 Presidential Race. Dash sat down with CNN’s Piers Morgan on “Piers Morning Tonight” show to discuss the criticism that came after endorsing Romney in a Twitter post on Sunday. The actress, caused a social media tidal wave when she recently advised her 200,000 Twitter followers to follow her in the support of Republican presidential candidate Mitt Romney, accompanied by a patriotic swimsuit picture of herself, saying that Mitt Romney is the only choice for the future. The tweet has outraged many African Americans. Which prompted a series of vicious attacks, and the backlash toward Dash has come as a bit of a surprise to her. “So disappointed to see people attacking @REALStaceyDash for voicing her opinion. Disagree politically, but #racist attacks are unacceptable,” she writes. Dash’s political viewpoint has become the subject of online attacks, as she came under fire for not being black enough. While others expressed thier distaste that she isn’t endorsing President Obama. What has been called racially charged backlash for her support of the Republican nominee, soon a series of messages with racial slurs were sent her way. “You’re an unemployed black woman endorsing @MittRomney. You’re voting against yourself thrice. You poor beautiful idiot,” wrote one Twitter user. Dash also dished that the GOP nominee’s running mate, Paul Ryan, called her personally to praise her, “He said thank you so much for your support, and that I was brave and that they support me and I thought that was so generous and kind, lovely,” said Dash. The presidential election weeks away, many celebrities have been using their star power to pledge support for their candidate of choice.